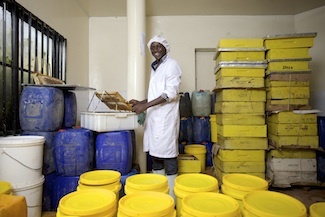 ECDPMGreat Insights magazineExtractives and global value chains: Where does Africa stand? Ramdoo, I. 2015. 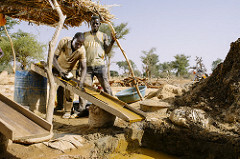 Extractives and global value chains: Where does Africa stand? GREAT Insights Magazine, Volume 4, Issue 6. December 2015/January 2016. Extractive resources accounted for 70% of Africa’s intermediate input exports in 2013. Yet, the continent’s value added participation in GVCs remains very low. Upgrading is therefore a necessary consideration to capture a bigger share of global markets. Industrial realities and the nature of international trade have changed radically in the last twenty-five years. 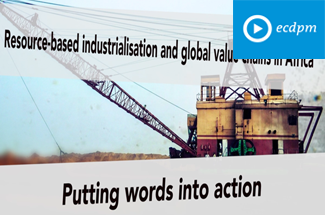 Production and trade are more and more structured around global value chains (GVCs). These changes are reflected in the way companies organise their production structures into operations that are conducted across the globe and in the changing trade dynamics, where firms specialise in capabilities and tasks rather than entire products. Today, the share of trade in intermediate inputs is estimated to represent more than 50% of imported goods by OECD countries and almost 75% of imports by countries such as China and Brazil (WEF, 2012). Several factors account for these changes. First, technological progress has substantially lowered transport costs and improved information and communication technology, making the coordination of real-time production more efficient and therefore making geographical location much less relevant. Second, trade barriers among developed countries have been brought down. Third, rise of new poles of production in emerging economies like China and India has significantly changed the dynamics of economic convergence and integration. Finally, companies are increasingly internationalising their production chains across several countries to always move to the most cost-efficient production locations. It is not true to say that African economies do not participate in GVCs. Actually, the 2013 Annual Report of the African Development Bank showed that more than 70% of Africa’s exports were in intermediate inputs from the extractive industries, for global production of such items as copper wire, steel and petroleum. This is because the large firms that have been driving the GVCs dynamics are vertically integrated with global suppliers and are themselves raw material providers for industries producing elsewhere. The value added participation therefore remains very low. In fact, Africa, on average, only adds value to 14% of its exports compared with 27% for emerging Asia and 31% for developed economies (AfDB, 2013). 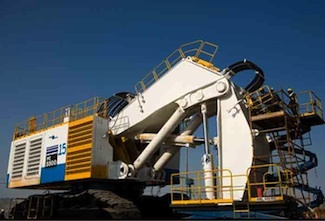 In the past decade, the structure of the mining industry has undergone profound modifications. 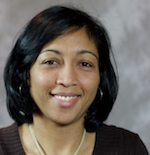 This was essentially driven by the need to cut down on costs and to focus on core activities. Similarly, in the oil and gas sector, low price of oil in the 1990s has led to the restructuring of the industry and companies have outsourced highly specialised exploration activities to independent firms. This has resulted in leaner supply chain management operations, including outsourcing of non-core activities to low cost and more efficient suppliers and procurement of goods and services from fewer but bigger suppliers. That said, although companies are driven by the logic of outsourcing, the location specific nature of the extractive industry could nevertheless confer some advantages to resource-rich countries, to the extent that they can use their location to become an attractive hub for their region. For instance, an efficient supplier, based locally, can respond to flexible and tailored needs of the industry. South Africa for instance, carved its niche in certain specific service supplies given its capacity to develop tailor-made responses for the mining industry. The latter’s (relative) advantages in GVCs is a result of well established companies with leading products and competencies, public research linked to firms, relatively well-developed and dense networks of local supply industries and services and geographical clustering. In Africa however, due to inherent weaknesses, the capital, knowledge and technology intensity of these sectors has put local firms at a disadvantage compared to specialised outsourced firms, accentuating the ‘enclaveness’ of the extractive sector. While local firms are slowly joining the bandwagon, they remain nevertheless mostly engaged in lower value, site-specific operations such as construction, support services and non-productive functions, in part to meet local content requirements rather than leveraging comparative advantages. 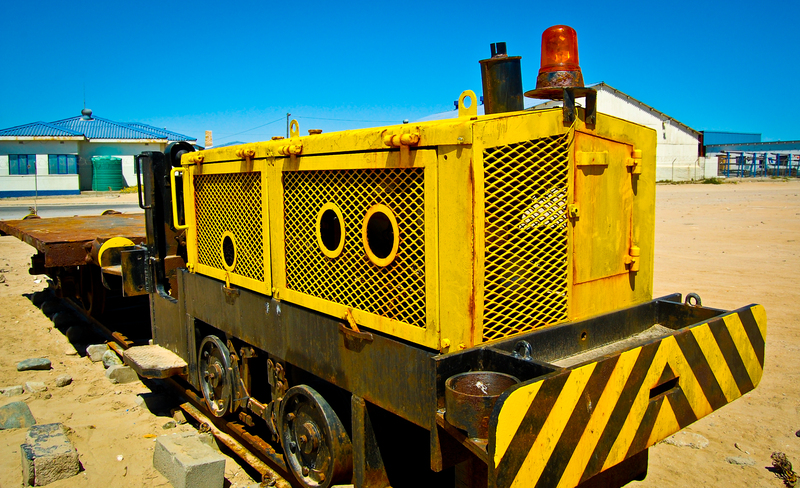 Though there are notable exceptions, such as South African equipment and services suppliers, most domestic firms in Africa have not yet achieved upgrading in this sector. There are several challenges inhibiting the sustainable inclusion of domestic companies in Africa in extractive industries GVCs. First, there is a set of structural factors that need to be addressed, such as the weak domestic industrial base. This is a result of the decades-long absence of proper industrial policies. Second, the lack of finance for industrial development, in particular for SMEs, is an important bottleneck to be addressed. Third, there seems to be insufficient specialised skills available at technical and professional levels to meet the requirements of global markets. Fourth, insufficient investment in R&D, science, innovation and technology is a major handicap to value chain upgrading. Fifth, in many cases, the cost of doing business is high and hence impact negatively on the competitiveness of companies and insufficient access to finance. Finally, many countries suffer from poor, insufficient and inadequate public infrastructure, expensive electricity, unreliable transport networks and slow telecommunication and internet connectivity. The objective now is to ensure greater value addition or attract other processing/manufacturing industries. The main question is therefore how to upgrade the current position in the production structure in such way to have a more meaningful participation in terms of capturing a higher share of value in the global economy. Economic upgrading can take at least four dimensions: product, process, functional and chain upgrading. Product upgrading involves producing higher quality and more sophisticated products. Process upgrading supposes that companies rearrange the production process to improve efficiency and productivity. Functional upgrading means acquiring new or broadening the range of functions in the stages of production. Finally, chain upgrading means diversifying activities into higher value sectors or end products. It matters where countries position themselves along the value chain and the dynamics differ if they sit at the lower end of the chain (providing raw materials) or at the more sophisticated end of the chain (as suppliers of key products or specialised services). It also matters to what extent mining companies are able or willing to connect to global suppliers. These different dimensions offer a wide range of opportunities for countries and companies to participate in various aspects of GVCs. While for countries the tendency is to foster essentially on the hardware part of GVCs, i.e. on product or chain upgrading (probably because those can be measured through economic indicators), the software part of GVCs, i.e. process and functions are often overlooked. Yet, these are essential in positioning companies at a certain level in GVCs (upstream or downstream), and influence their capacity to strengthen their positions. A number of African countries, such as Zambia and Botswana, have started to pursue efforts in this direction. By cutting and polishing diamonds, Botswana, for example, gained some 7.5% in value over rough diamonds production. But over 50% more value is still to be captured if it moved into jewellery and retail. However, that means acquiring new processes or attracting new industries that have those processes. Similarly, in East Africa, the discovery of oil and gas has led to a number of activities aimed at greater economic integration to capture as much value from these activities as possible in the region. For instance, Kenya has embarked on a new standard gauge railway line from Mombasa, which should extend later to Uganda and Rwanda. It has also started the construction of a new port at Lamu that will service the northern parts of the country, South Sudan and Ethiopian outlets to the sea. Nigeria is contemplating regionalising its cement industry to support the construction boom on the continent and fertiliser industries to feed into the agricultural value chains. However, such efforts are insufficient to be reflected in the share of Africa in global production and trade. Finally, entering GVCs is not an end in itself. Low-income countries, because of their capability challenges, almost de facto enter at the lower end of GVCs. There is a risk that local operations remain confined at that level if new capabilities are not accumulated. There is also a risk that low-end tasks may move elsewhere, causing downgrading. African Development Bank (2013). Annual Report. Tunis OECD: 2014. World Economic Forum. (2012). The Shifting Geography of Global Value Chains. Implications for Developing Countries and Trade Policy. Global Agenda Council on the Global Trade System. 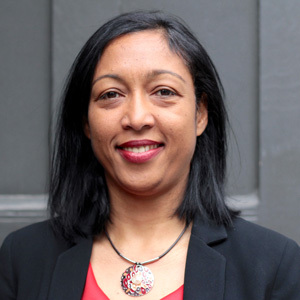 Isabelle Ramdoo is the Deputy Head of the Economic Transformation and Trade Programme at ECDPM. 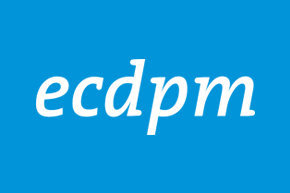 Email: ir@ecdpm.org. Twitter: @ir_ramdoo. Photo: Sishen Mine, a Kumba Iron Ore mine. 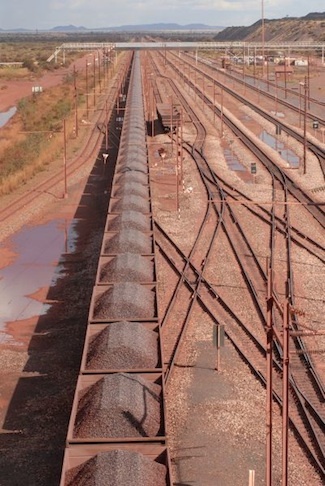 The loading of the Sishen to Saldanha ore train; 216 wagons of 100 tons each make up each train, Northern Cape province, South Africa. Credits: Graeme Williams, MediaClubSouthAfrica.com.